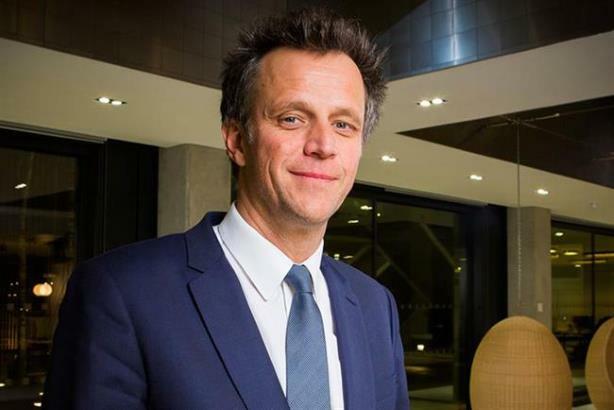 Publicis Groupe chief executive Arthur Sadoun has delivered a bullish defense of his decision to withdraw the network from trade events and flagship award shows such as Cannes Lions. Speaking at ISBA's annual lunch on Monday, in conversation with the advertiser body’s director general Phil Smith, Sadoun discussed topics ranging from trust through to the Marcel project. On the controversial AI initiative, Sadoun stressed that the move was about transformation and claimed he did not mind if he lost his job over the move. "I’m happy to get fired; I don’t care, I have other things to do," he said. Sadoun garnered applause when he said of the criticism, "I'll take it, I don't care." But he also said he was "a bit sad to see… something that could be a game changer has been in the shadow of this big issue about the festival." Sadoun identified staff retention as one of the main reasons behind Marcel, citing research showing that 40% of people in the industry wanted to leave in the next two years. "We want to make sure that any of our employees could have the best opportunities when it comes to a creative brief, when it comes to learning, when it comes to shine," he said. The young generation, Sadoun said, "Wants to be recognized quite quickly; they want to make things, they want to be engaged, they want to be able to touch different things in a different way." He told the story of how a difficult French client called up after hearing about the news from Cannes and said, "Hey Arthur, I was going to fire you but it seems like you’re making progress, so I’m going to give you six months more." Sadoun took aim at bigger network rivals WPP and Omnicom for not changing their "architecture" in the last 20 years: "We are not putting technology at the core, we are the only service industry that hasn’t tried," he claimed. "You can’t fix those big challenges if you don’t bring the right level of transformation." Brand trust was the "biggest battle of our industry." "Restoring the trust between agencies and clients is a top priority," Sadoun added. During the event hosted in a packed room at the Dorchester, Sadoun turned to the Publicis Power of One philosophy which is based on breaking down silos between agency brands. To illustrate how it was working in practice, he pointed out that Leo Burnett creatives in Sao Paulo were going to work on Super Bowl ads with Saatchi & Saatchi in New York. He said the thinking was also behind Publicis’ recent retention of Procter & Gamble’s U.K. media business. During the pitch process, "you wouldn’t know who was from Sapient, Digitas, Publicis, Saatchi," he revealed. "So far so good," was how he summed up client response to the drive, adding: "It makes our complexity invisible to them." When asked by Smith where the group will be in a year, Sadoun said: "I hope I will still be there." Does the Cannes Lions festival need a major rethink?